SSAB is to invest a total of around SEK 1 billion in SSAB Americas’ steel mill in Mobile, Alabama to increase production capacity for quenched and tempered (Q&T) steels and to reduce costs. The investments will take place during 2019-2021 and will increase the annual capacity of Q&T in Mobile from 300,000 tonnes to 400,000 tonnes. Taking into account the cost savings, the payback time is estimated to be less than four years. “SSAB is a global leader in Q&T steels and we have largely driven market growth through application development together with customers. Over the past 20 years, we have increased Q&T volumes by an average of 7% a year. 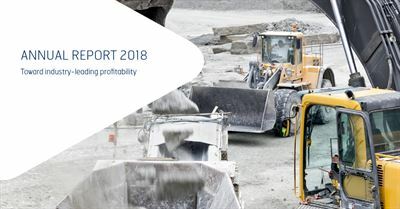 There is great market potential as Q&T penetration is still relatively low in, for example, North and South America, where we now plan to increase capacity,” says Martin Lindqvist, SSAB’s President and CEO. The investment of around SEK 1 billion is targeted at three areas: formatting, blasting & painting as well as shipping capacity. This will eliminate production bottlenecks and increase annual Q&T capacity in Mobile to around 400,000 tonnes compared with existing capacity of around 300,000 tonnes. The investment will take place over a period of three years, 2019-2021, and the payback time is estimated to be less than four years as of today. In parallel, a new, accelerated cooling system will also be installed and this will improve the potential to grow volumes of more advanced premium products, while reducing the need for alloys. 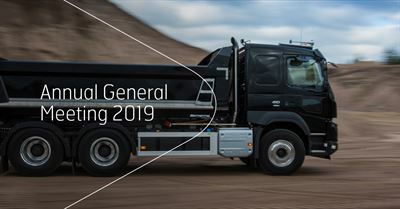 The investment has been designed to include the potential to build additional Q&T capacity through direct quenching similar to the technology currently used at SSAB’s production facilities in Finland and Sweden.